Blue Jelly is a leading marketing agency, combining a passion for creative thought and fresh thinking with a truly integrated approach. Our continual pursuit of excellence and our dedication to creativity, understanding and inspiration ensures the creation of outstanding marketing communication campaigns that deliver results and maximise your return on investment. We use creative thought to combine marketing disciplines and deliver campaigns that help you achieve your business goals. We provide a complete range of marketing services which is delivered by an experienced team of professionals with expertise across both off and on-line media. Our ethos demands that we are questioning and consultative; ensuring that the work we produce answers our client’s briefs. We produce great results through the most appropriate marketing medium in the most cost effective manner. As one of the leading agencies in the UK, we work across most sectors including construction, technology, retail services, exhibitions and general business services. We work with small businesses to multi-national clients. Our reach extends to Europe, the Middle East, the Far East and USA supporting our clients in a variety of ways, including PR, off-line and on-line advertising, literature creation, digital solutions, and promotional activities. 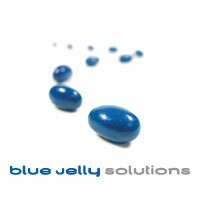 Whether your organisation is launching a new product or service, revitalising a brand, communicating with or incentivising your customers or simply trying to grow your bottom line, Blue Jelly can help you meet your objectives and provide a significant return on investment.